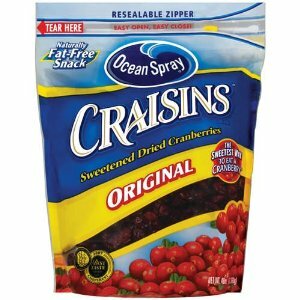 COSTCO: $3.99 for 48oz Craisins! Costco has 48 oz. bags of Craisins on sale for $3.99!! $6.99 - $3.00 Costco coupon. I just bought one. :) If you don't have a coupon book, get one at the front desk. (or just tell the cashier) Limit 1, dang it. at my costco, I can buy them in separate transactions to get the sales price. no need to cut coupon, they just scan their coupon book bar code by their scan gun. Or if your store need you to turn in coupon, you can buy another on sales item from the coupon book, and hand them that coupon to scan, then the register should automatically deduct $3 for the Craisins as well because Costco update their system to deduct all discount after scanning one coupon from the same coupon book.